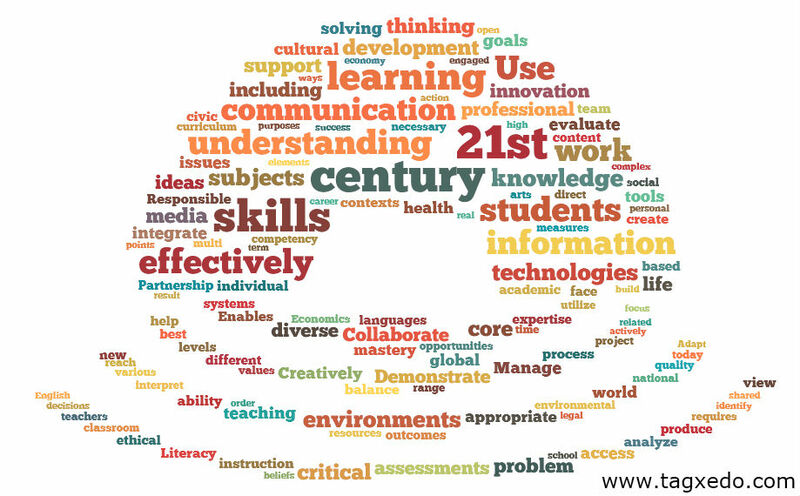 Even though both this blog and the 21st century school project were a pain in my a**, I have to be real and say that both endeavors served as the most effective teaching tools for me this semester. Scrolling back on my blog now, I feel proud of the digital writing portfolio I have assembled, and I remember something important from each post. Similarly, the 21st century school project illuminated information that was previously cloudy for me. For instance, school funding absolutely perplexed me until I had to put together a school that needed money for things (computers, field trips), and my amazing group member (Heather) explained it to me in a way that I could understand and remember. Watching my classmates presentations, I finally found clarity in the difference between a “Magnet School” and a “Charter School,” which I was too afraid to admit before that I did not fully understand. Sometimes it’s easier to learn from your peers. It was interesting to see where we all intersected with our schools– technology, project-based learning, and dynamic classroom settings. I found myself wondering why we all congregated to those things, and there are several reasons. First and foremost is the power of persuasion, that we have learned about those elements in our textbook, in Dewey, and in class from Dr. Coffman. But I think it’s a bit more than that. As students, these are the things we are craving (we’ve all been in school for at least 16 years, right? We know a thing or two about being a student). We want something more engaging, more eclectic, more changing and modern. We are sick of school being boring. I’m going to be presumptuous and go ahead and say that none of us are ever going to actually create and build a school, but that’s okay. We have the authority to make our classroom anything we want it to be, don’t be afraid to be different and make those changes you want to see. Lastly, I have to say that I have a new found respect for school administrators and video editors; both are extremely difficult, time-consuming jobs! My mind seems to consistently cycle back to ideas of metonymy when it comes to the nature of education. Everything is part of a whole, not just a dislocated part, but a reflective, symbolic one. The school reflects the society it’s a part of; the curriculum reflects the standards of the greater nation; and the instruction reflects those set curriculum standards. It’s all just a layered mass of meta-states-of-being! For this reason, the relationship between curriculum and instruction fascinates me. A perfect example of this metonymic relationship is the 21st century call to expand curriculum into the realms of media and technology skills. As quickly as computers entered our businesses and homes, they entered our schools (a few years late, but with equal vigor). Terms like, “PowerPoint,” “Wikipedia,” and “Blog” are just as common place, if not more, as “pencil and paper” in our schools. Quite obviously, I am blogging for school right now. And doesn’t it make sense? I have seen a two year-old girl successfully use an iPad, so why would we hand her a type writer instead of a computer? This is not to say that we are using typewriters, of course, or that there’s anything wrong with the “Oldies but Goodies,” this is to say that the tangible materials don’t matter, but the instructional approach does. Even those with archaic tools, can use them in revolutionary ways. Remember “divergent thinking?” I talked about it a few blogs ago, and I think this is a crucial skill for all teachers– to be able to think divergently. There are multiple paths to the same truth, and it’s important that we recognize that. The computer can be used for more than just word documents, and chances are your students already know a lot of them (probably more than you). It is your responsibility as a teacher to be aware of these options– you don’t need to be an expert on all of them, but give your students the option and they might impress you. This is exactly why differentiation is so important. I keep coming back to this point– Differentiation! Differentiated instruction focuses on, “constructing understanding rather than accumulating facts,” by providing the students a variety of teaching methods and project choices (Ornstein, 2008). Technology is the perfect medium for differentiated instruction, with one tool you have access to a huge variety of mediums, resources, and assessment methods. And if our grand goal as educators is to, “develop learners willing to participate in a democratic society,” as Ornstein puts it, then these technological skills are critical for our students to learn. I want to conclude with a reflective moment. Innovation constantly obsessed me and thwarts me. I always think I have created something new and original, only to find it on the internet moments later. I always think that I make new connections or put words together in unique combinations… But I don’t. That’s not the point, the point is that true innovation is challenging and rare. No one is asking you to be Einstein, all you have to do is try. And really, isn’t that what you expect of your students? Ornstein, Allan, & Levine, Daniel, & Gutek, Gerald. (2008). Foundations of Education. Belmont, CA: Wadsworth. What is the most important thing(s) to know as a teacher? Very simply: your students. To teach the way you were taught would be a mistake, because you are no longer the student that existed years ago and because the world is not the world it was years ago. As young as I am (I’m only 5 years old), I have seen a huge shift in our culture and in our education system. Heck! I remember when we didn’t even have internet at home or at school! So should our pedagogy change? Absolutely yes. Ornstein devotes an entire chapter to make this point exactly, that we are now part of a “highly technical, automated, and bureaucratic society,” and that so much depends on, “the development of appropriate priorities of education” (2008). As teachers, we must assess and address this modern priorities in our classrooms. It comes as no surprise that our attention span as a society has decreased exponentially, and research supports this. Without even trying, I found several articles on the matter (1, 2, 3) and the general consensus is that the modern day student has about a 10-15 minute attention span. I, personally, would argue that it’s even less than that. There are several contributing factors to this shortened attention span– technology, mostly– and as a society we have become ridiculously impatient. Why, then, would we waste so much time lecturing? As stated in my previous post about EEO, lecturing is a really a waste of your and your students’ time. 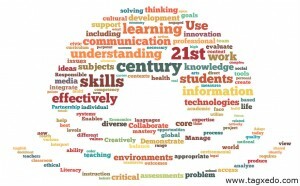 We must modernize our teaching to adhere to our students’ needs. This can be easier said then done, of course, because we are now forced into creativity, and some times we have no idea how to create within a new, unknown medium. So suppose you want to have your students create blogs, but you have no idea (as the teacher) how to blog; you can either take the easy way out, forget about it, and refer back to archaic styles of teaching, OR you can investigate and then ask your students to TEACH YOU. Just because you are the teacher, does not mean you are The Omniscient Being of the classroom. Teaching is a great way to learn, and your students can and will learn a lot by teaching you something. In fact, much of my own proficiency with blogging is product of a hesitant, technologically-fumbling professor who openly reached out to us (her students) for help. It did not make me think less of her, in fact the opposite, it created a deeper sense of respect and kinship between us. Dewey promotes this kind of teacher-student relationship as well. Although the teacher must provide structure and rules, the teacher is an equal part of the group and part of the experience. Dewey contends that it is not the educator’s duty to, “ladle out knowledge in doses” (p. 82, 1938), but rather that education is a “co-operative enterprise” in which, “the development occurs through reciprocal give-and-take” (p. 72, 1938). Paulo Freire (my other favorite philosopher) agrees with Dewey, encouraging a dialogue between teachers and students. The only way you can be aware of the best way to reach your students is to know them; know their learning style, their likes and dislikes, their strengths and weaknesses, their favorite activities, their favorite foods and colors. The more you care about your students, the more they will care about your class. Always remember that your students are not you; You must look outside of yourself to effectively engage the minds of others. A quick note before I fully launch into this post about Equal Education Opportunity. As I write this post, I am (simultaneously and sporadically): listening to music on Pandora, checking my email obsessively, texting on my cell phone, and I just tweeted a hilarious quip. I tell you this not to brag or technologically expose myself, but to make the same point that Sir Ken Robinson makes: today’s youth are more stimulated than ever before– Cell phones, iPods, iPads, Netflix (Lions, Tigers, and Bears! )– and yet many of our classrooms remain stagnant. No wonder our kids aren’t paying attention. No wonder more and more kids are being “diagnosed” with ADD and ADHD… Most of these kids are just plain ol’ bored, and acting out accordingly. information (McKeachie, 1986). So what does that tell you? Lecturing is boring. 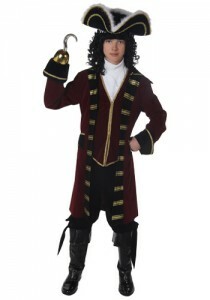 Regardless of who is in your classroom– special needs, learning disabled, ELL, gifted and talented, a pirate with a hook for a hand– lecturing is ineffective. 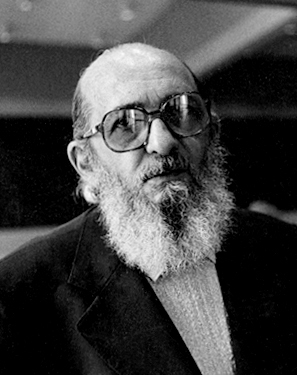 I find myself cycling back to my first blog post, in which I discussed Paulo Freire’s essay The Banking Concept for Education. When we lecture to our students, talk at them, we are treating them as receptacles. We cannot blame them for forgetting what they have learned, when we have encouraged their regurgitation with our teaching and assessment style. Instead we must open up a dialogue with our students and encourage a dialogical relation between the students themselves. Students learn from each other, especially culturally. Why teach students about diversity when they can more effectively teach each other? It is our job as the teacher to create structure, create rules (remember what Dewey says: “without the rules there is no game”), and inspire our students to grow and learn. Most inclusion classrooms are art and music related (Ornstein, 2008). Art and music are the perfect mediums for experiential learning, this is also something that Sir Ken Robinson discusses in the video; that the arts wake us up, forces us to think differently and discover new parts of ourselves. The arts are unifying for people of all abilities, which is to say you may not be good at it, but you can try and successfully produce a finished product regardless of skill level. Why not incorporate the arts into the academic classroom? I see no reason why not. Learning about Shakespeare? Act it out. Learning about The Civil War? Write a poem about it? Learning about fractions? Draw a picture. When we cross academic mediums, we have a greater chance of intersecting with our students passions and strengths– the things that will make them feel successful, not dejected. When we are creative with our lessons, we avoid anesthesizing our students, and instead we wake them up! Everyone is good at something, regardless of race, learning ability, or native language; we must give each student all the opportunities possible to find their “thing.” Again: differentiation is the key to successful teaching! And a final note to close. As I have been writing this blog post, I have gotten up several times; I pet my dog, I ate a snack, I did some dishes, and I checked my email about 87 times. BUT I have successfully completed the assignment and on time. If we allow ourselves breaks, allow your students breaks as well. It’s only human. McKeachie, & Wilbert, J. (1986). Teaching Tips: A Guidebookfor the Beginning College Teacher (8th ed.). Lexington, MA: D.C. Heath. Race should not be part of the title of this blog post because, really, race has nothing to do with school achievement. Ornstein et al (2008) reiterate this point several times and support it with research; when it comes to school achievement, it’s really a student’s SES (socioeconomic status) that matters. Those who are financially disadvantaged have limited educational resources and a different set of priorities– food and shelter are more important than math homework– so they have lower achievement scores. This makes perfect, logical sense. What’s harder to understand and makes less sense to me is why in the year 2012 there still remains such racial inequalities in our country and schools. Areas of poverty are comprised mostly of racial minority groups, and black males (especially) are experiencing more and more problems with the law (Ornstein, 2008). There seems to be a disconnect here, don’t you think? Race itself has almost nothing to do with school achievement, so we can safely presume that a student of any race has an equal propensity to learn and do well, but we still see racial polarization in our society and in our schools– Why? Below is one of my favorite little American history summaries, courtesy of Michael Moore’s documentary Bowling for Columbine. It’s only 3 minutes long, and it makes a pretty enlightening and legitimate argument regarding fear. Just watching the evening news (or an episode of Cops) you can see how our society criminalizes Black men. Certainly some Black men do commit crimes, but so do white men; what the media chooses to cover only perpetuates the fear. This isn’t about crime rates (although I could go on), this is about school. School reflects society, and this fear of African Americans can snowball in a school environment. African American and Latino students have high dropout rates, and those who do finish high school are much less likely to continue on to college (Ornstein, 2008). These students are certainly not dumb, they are feared and therefore criminalized. If teachers and administration expect and anticipate the worst from their Black and Hispanic students, then that’s exactly the outcome they will experience. Go into any high school and look to see who is in detention and who has been suspended, and you’ll see what I’m talking about. “But everyone is just about as racist as you”– This is the equalizer. If you treat your students with respect, they will return the favor. Who’s to say that one of your students is not racially biased against you? If you set the example of respect and emphasize its importance in your classroom, you will be rewarded with that respect in return. Hold all your students to the same standard, do not assume that some students cannot achieve as much as others– they can. If you have the guts to admit to yourself that you may be a little bit racist towards a particular group, recognize it, and neutralize that feeling in your classroom. You know that cliche word of advice about public speaking? That you should just imagine the audience in their underwear. When you’re teaching, you should strip the skin off your students, revealing only their souls and minds. School is so much more than school. Teachers are easily forgettable (I have forgotten most of mine), not because they’re bad teachers, but because students are more focused on their social lives. It’s not surprising that John Goodlad’s survey of junior high and senior high students reported that most teens responded that their friends were the best part about going to school (Ornstein, 2011). To make it even more difficult for the teacher to maintain his/her students’ focus, every student has his/her own cultural background, which can lead to discrepancies in what each student considers appropriate behavior. How does a teacher manage all this? Don’t fight it, don’t hate it, just embrace it. 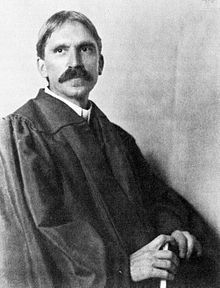 No matter the diversity in your classroom, there is always common ground; there is the shared experience of your classroom (thanks, Dewey! ), and there is a beautiful, unique brain inside each student’s head. As a teacher, we must take these unique minds and allow them to grow independently, as well as contribute to the shared education experience. More simply: student must learn how to think for themselves and think and work with others. In my other course (Teaching & Development of the Learner) we are discussing Howard Gardner’s theory of Multiple Intelligences (MI). 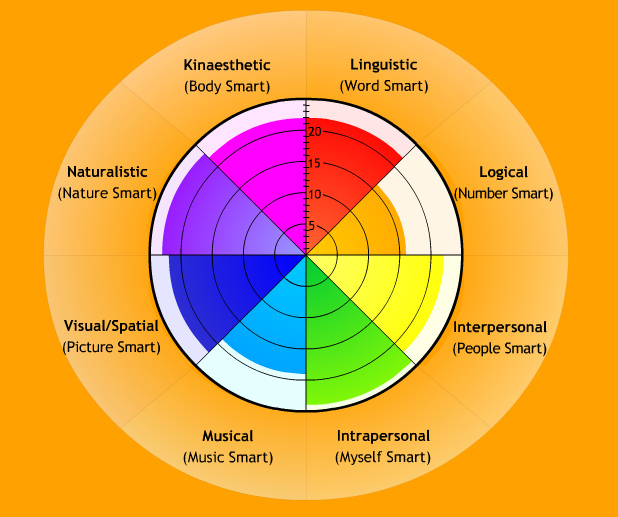 Gardner’s theory is centered around the individual strengths of each person’s mind, divided into eight realms of human intellectual ability; which is to say: we’re all smart at something. The question is not, “How smart am I?” but rather, “How am I smart?” (Woolfolk, 2010). Regardless of a student’s gender, race, ethnicity, or life experience, they are undeniably smart– good at something. It is our responsibility to give that student the opportunity to find and explore that “something.” Again, I find myself seeing the extreme importance of differentiation in teaching, providing all different kinds of experiences, tools, and modes of assessment. Students are diverse, the teacher should follow suit. We must focus on The Big Picture, motivating our students to pursue that “something,” to find their mind, to grow. The Chinese Proverb says, “tell me and I forget. Show me and I remember. Involve me and I understand.” This is exactly the Big Picture I’m talking about. If we involve our students in shared experiences and empower them to learn on their own, instead of encouraging mindless memorization, they will grow more confident and comfortable in their own skin. Those who are confident and comfortable with themselves can look beyond superficial differences (as we all well know, bullying is the product of personal insecurity), and students will better respect themselves and their classmates. We are all the same in our uniqueness (does that make sense? ), and we educate minds, not skin. An effective educator can take students’ inherent abilities and create a cohesive learning experience. If your students want to chat, let them chat, but channel it in a productive way (group work); if they want to make friends, let them make friends, but force them to connect with someone outside their normal clique; if they want to perform a rap song about Shakespeare, let them spit their flow (just make sure there’s no curse words or offensive language). Give your students the green light, and they will go. Woolfolk, Anita. (2010). Educational Psychology. Columbus, Ohio: Merrill. Should Teachers Have to “Audition”? Do you have a Netflix account? If so, add the documentary Waiting for “Superman” to your instant queue right now. Here’s a brief video (less than 2 minutes! ), which will nicely preface my own thoughts. (if video does not work, try this link). The documentary focuses on many issues in American education (funding, standardized testing, diversity, etc. ), but it all comes back to one thing, one solution: GOOD TEACHERS. Students can and will learn– with or without technology in the classroom, with or without adequate resources at home, with or without tenure, without standardized testing– if they have a good teacher. Isn’t that why we are all here, why we are all taking the time and making monetary investment? We want to be well prepared, educated, confident and able teachers. That’s my reason, at least. D.C. schools are now requiring “auditions” for new teachers. The teacher applicant is given 48 hours notice of what lesson he/she will be teaching for their audition, and then teaches the lesson while being recorded by a 360 degree camera (this camera records both the teacher and the students). It goes without saying that this “big brother” presence adds a new element of stress for the teacher, which can askew the actual teaching abilities of the applicant, but– to me– if you can’t take the heat, get out of the kitchen. Or rather, if you’re not a good teacher, then either improve or go do something else. Simple. Education is not about us (the teachers, the adults), it’s about the students; we need to remember that, especially when we feel under-paid, over-worked, or unheard. Good teachers will prevail, regardless of education policies. It is the bad teachers (by “bad,” I mean ineffective, not passionate, stuck-in-a-rut) who cause problems and drain education funds. Waiting for “Superman” discusses an education practice called “The Lemon Dance.” The Lemon Dance is the exchange of bad teachers between schools. Instead of ineffective teachers being fired, they are merely passed on to other schools. The hope is that these bad teachers will do better in a new environment; of course, that is not the case. A bad teacher is a bad teacher, no matter the location. The audition process D.C. is implementing will weed out bad teachers, those who are, “just in it for the paycheck” (Turque, 2011). However, because not all school systems have this audition process, it will only perpetuate “The Lemon Dance.” So what if the federal government changed its focus? No Child Left Behind sets standards for students, but what are the standards for teachers? Of course each state has its own requirements, and each principal has his/her own set of standards for those teachers he/she hires, but what if– like Geoffrey Canada says in the video– being a teacher had the same privilege and reward as being a doctor and lawyer. It is as noble a profession. Then again, there are bad doctors and lawyers, too; however, my point is that I think it’s fair and right to demand better teachers. It makes me nervous, to have this grand responsibility placed upon me, the pressure to be great, but what’s wrong with that? Nervousness is the language of passion. So here is what confuses me the most about education funding: schools are supported primarily by state and local revenues, whereas federal funding only accounts for about 9% of education spending (Online Education Database, 2007), so why does the president / do presidential candidates talk about education so frequently? Doesn’t that give us (the public) a false sense of federal educational assistance? The Department of Education is a federal agency, of course, but if they are not providing the schools with a majority of funding then why does it seem like they have the most authority over them? Something, logically, does not add up and I am confused. The Constitution grants education responsibilities to the states, not the federal government (“10 Facts,” 2005). Again: I’m confused. If it is Constitutionally mandated that states control their own education, then why and how can No Child Left Behind (a federal mandate) exist? I know I’m asking more questions than I’m answering and that’s poor form, but I feel truly bamboozled. Politics have never been my thing. (I’m more of the sensitive artist type). Let me lay out what I do know, and maybe that will help us all clear our minds. Property tax is the main revenue source for public schools (Ornstein, p. 237, 2011). Property tax is based off market value, which makes schools subject to the income level and property-ownership of its surrounding inhabitants. Simply said: a school is only as rich as the people who pay for it. 17 states have established a system of equalization to address this disparity, in which state governments step in to help struggling districts with state taxes (“Financing Public Education,” 2010). Why don’t all 50 states do this? I also know that education funding has been consistently increasing over recent years (Ornstein, 2011; “10 Facts”, 2005), and yet it still does not seem to be enough; schools in low income regions are unable to pay staff members, unable to upkeep their facilities, unable to provide students with sufficient resources. We see the increased funding in the statistics but not in the schools, and people are mad. 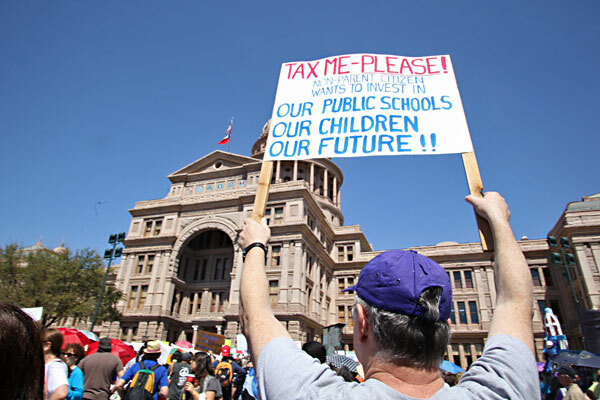 These images are from the Save Texas Schools March & Rally in 2011. 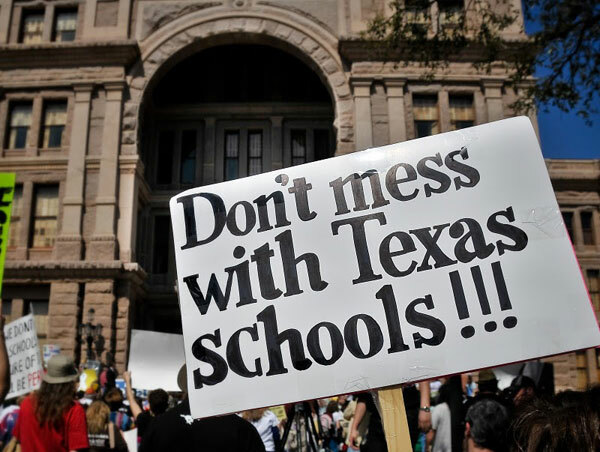 13,000 Texas residents protested the under-funding and over-testing in their school systems. Despite the protest, the Texas state government cut the public education budget, leading to the loss of an estimated 12,000 teachers (Save Texas Schools, 2011). Where is the increased funding that I am seeing in all these different graphs and charts? Not in Texas, apparently. My confusion lies in contradiction. State and local governments fund schools, but the government makes all the big decisions and demands. The way funds are allocated makes it so the poor schools stay poor, while the rich schools get richer. There is increased funding, yet no one is satisfied. I have no solutions for all these discrepancies and contradictions (Ellen DeGeneres: can you solve all our problems? ), nor do I think it’s my place to have solutions. However, I feel inspired to join a collective voice of educators to voice these concerns, and really (unless you want to run for office), that’s the best we can do. 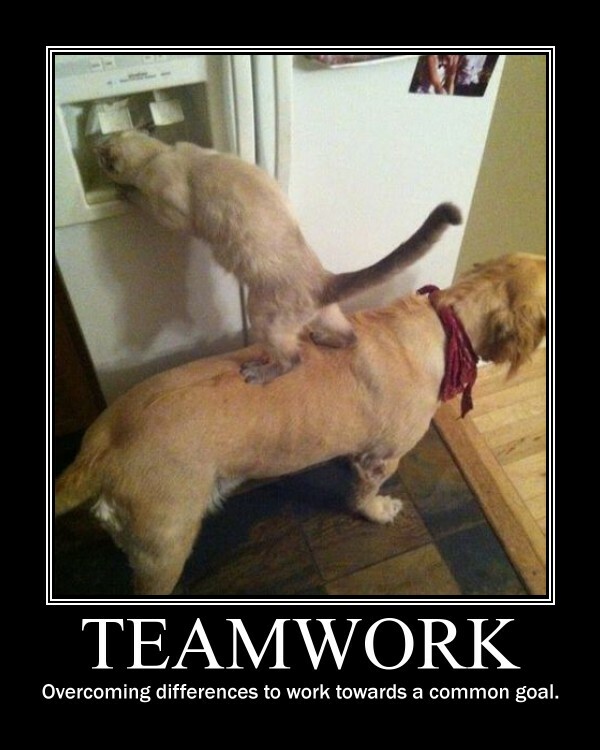 After watching the video case and reading the chapter on governing and administration, this is the primary message I walk away with: TEAMWORK. No Child Left Behind (NCLB) and Individuals with Disabilities Education Act (IDEA) put pressure on teachers to make their students able to achieve certain government standards. As a brand new teacher, this makes me incredibly nervous; my newness does not exempt me from these standards. I need the assistance and knowledge of my fellow teachers and specialists to help me build those skill sets and my confidence, overall, as an educator. This is a point that Chris Colbath-Hess, a teacher, drives home in the video: if you need help, ASK FOR HELP! Ask your principal or assistant principal to provide you with a mentor. If you’re stubborn (like me) asking for help can be hard, but it really is the key to success and sanity when it comes to meeting NCLB and IDEA standards. This is a positive side effect of standardized testing, teamwork that is, because otherwise we may not reach out for help; these standards put the pressure on and force us to work together– to communicate– and that makes us better, stronger teachers. Here’s the big HOWEVER, are these tests accurate assessments of our students? Amy Jordan, an inclusion specialist, argues that standardized testing fails to assess a students’ progress; a student that has made massive gains throughout the school year may still test “not proficient.” This frustration is especially applicable to students with IEPs, who learn at their own pace, or express learned skills differently. Students who put forth effort and show progress as a result should never be deemed “not proficient,” in my humble opinion. The real issue here is a lack of perspective. How can the government set standards for students and teachers they do not know? It’s all speculation and projection, i.e. the goal set by Bush to obtain reading and math proficiency by 2014; in order to “keep up,” school systems have to raise their objectives every year. These projections leave some schools in the dust; and if enough schools fail these government standards, which Larry K. Shumway, superintendent of public instruction in Utah, argues is likely, then these laws are meaningless (Dillon 2011). Some states have even stared rebelling, ignoring the suggested standard-raising for the year. And again, this is all due to a lack of perspective. The government does not know what goes on in the classroom every day; that Jimmy’s parents are getting divorced; that Jane has severe ADD; that Dan is great at math but struggles to read. Individual needs of the students are lost. So now I find myself thinking of Jimmy, Jane, and Dan. How do I, as a teacher, bridge the gap between the student and the government that expects so much from him/her? Honestly, with my level of experience now: I have no clue. 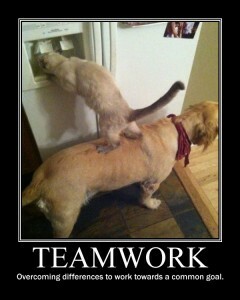 So again I return to teamwork (full circle! ), because my first move would be to ask the specialists in my school. I would ask them for teaching tips and reliable resources, ask them how I can address that student’s needs without making them feel singled-out or “different.” These are experiences, these are stories, these are things I need to know! It’s easy to feel overwhelmed, and rightfully– we hold the future generation in our hands. The government is huge and we are small; but together we have a powerful, resounding voice. All we have to do is work together. It seems fair to proclaim myself an idealist right off the bat, please excuse my bias. My true self exists in the clouds above my head; to me, everything is something else, and then a million more things. That said, let’s do this thing. And first he will see the shadows best, next the reflections of men and other objects in the water, and then the objects themselves; then he will gaze upon the light of the moon and the stars and the spangled heaven; and he will see the sky and the stars by night better than the sun or the light of the sun by day. And again, I am drawn to the idea of metonymy– parts representing the whole. Which is to say, we must understand the parts before we can understand the whole. Another great example of this concept, which I find to be less confusing, is that of the blind men touching the elephant. Each man places a hand upon a different part of the elephant, and obviously the tusk feels different than the side of the elephant– and so on– so each man has a different experience. Despite these different experiences, each man is touching the same elephant. The tusk is part of the elephant just as much as the ear or the tail. Every one thing, then, is many things. Truth is understanding The Whole, even if you do not know every part to The Whole. Does This Tree Have a Soul? Emerson touches on this point as well– the many and the one. When it comes to Transcendentalist thinkers, though, I’ve always been more of a Thoreau gal. Like Emerson, Thoreau questioned the traditional notions of God and religion, and instead sought his own truth. Documented in (one of the best books ever written) Walden, Thoreau goes a-fishing in the depths of his mind: “my head is an organ for burrowing” (Thoreau,1854, p. 93). Thoreau argues that we crave reality, that reality exists in the physical, natural world, but he scorns materialism– a contradiction? Not quite. The spiritual world inhabits a physical space, such as our human shells, or equally the bark of a tree or a blade of grass. Even if this is a contradiction, it doesn’t matter because both Emerson and Thoreau agree that it’s the act of understanding, of seeking truth, that matters the most. If you contradict yourself, very well, contradict yourself. You contain multitudes (Walt Whitman agrees). The realist, however, would look at the bark of a tree or a blade of grass and seek to define it. Define is a keyword here. What kind of tree is it? What is photosynthesis? If that tree were to fall and there were no human ears to hear it, it would make no sound. Why? Because sound is defined as the ears’ response to auditory stimuli. The speculation of sound does not matter; if it doesn’t exist, it doesn’t exist (or the cliche: “it is what it is”). Realism is clear; and in teaching, clarity is required. Like Dewey, I do not believe this needs to be an Either-Or situation. Why can’t realism and idealism be in dialogue with one another? Example: we must first define a word before we can place in the context of a sentence. That word now becomes a part of the whole sentence, the sentence is a part of the paragraph, the paragraph is a part of the whole essay. We define and we apply, assembling parts into a whole, and this is what education is all about. Math class may be completely different than art class, but they are both equal parts of the whole educational experience (remember the elephant?! ); and education, as I discussed in my previous post, is part of The Whole of Life. Heavy stuff. Simply said: idealist or realist– it’s all good. Blind men and an elephant. [image of wall relief in Northeast Thailand June, 2004]. 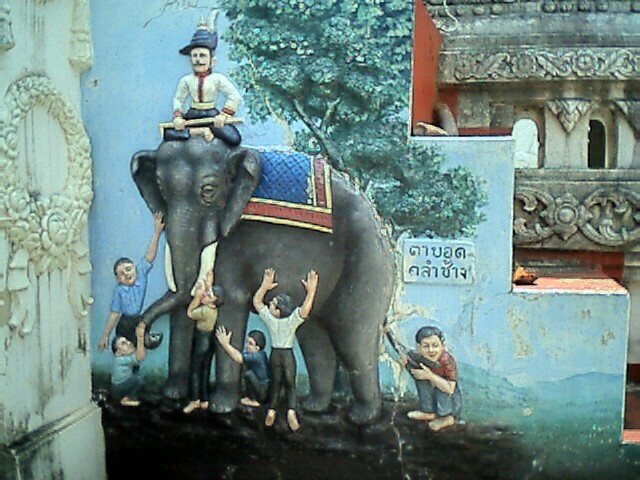 Retrieved from http://en.wikipedia.org/wiki/Blind_men_and_an_elephant. Saxe, John Godfrey. Blind Men and The Elephant. 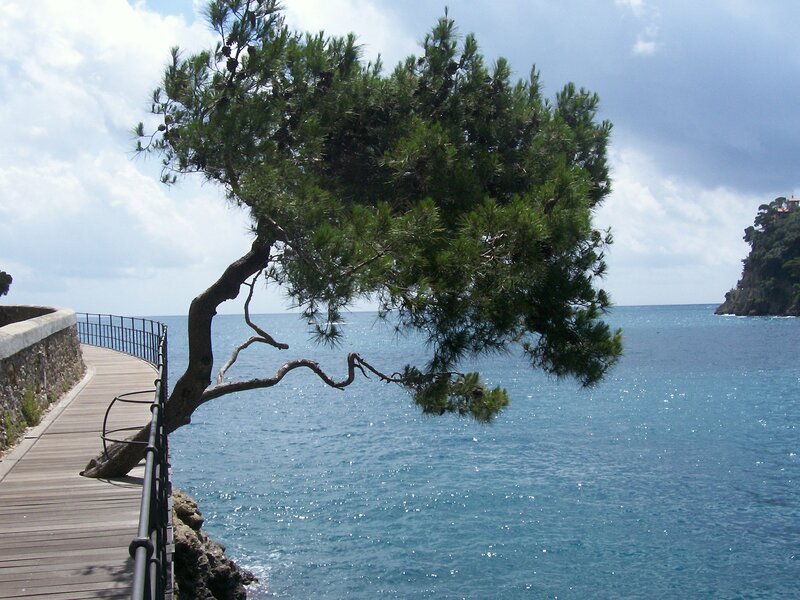 Retrieved from http://wordinfo.info/unit/1/ip:3/il:B.
Thoreau, Henry David. (1854). Walden. Boston, MA: Beacon Press.